House of reps summons EmefieleMEFIEL, Kachikwu over alleged forex diversion – Royal Times of Nigeria. 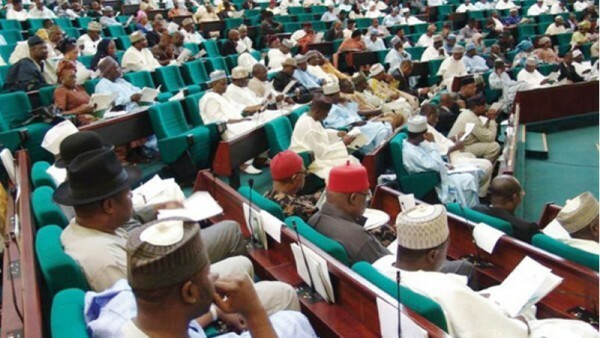 The House of Representatives on Thursday invited the Governor of Central Bank of Nigeria (CBN), Godwin Emefiele, and the Minister of State for Petroleum Resources, Ibe Kachikwu over alleged diversion of foreign exchange by some oil marketers. Also invited are Chief of Naval Staff, Ibok-Ete Ibas, Chief Executive Officers of Keystone Bank and Zenith Bank, which were involved in the allocation of foreign exchange to oil marketers. The committee on the Review of Petroleum Pump Price asked them to appear on Monday, April 7. The chairman of the Committee, Nnanna Igbokwe also urged the Inspector-General of Police, Ibrahim Idris, to determine the whereabouts of Andrew Alagu, the managing director of HAR Petroleum Resources Ltd, by March 27. Igbokwe said; “The invitation is to determine the involvement of the company in alleged diversion of 26 million dollars for importation of Premium Motor Spirit (PMS) under the Direct Sale Direct Purchase (DSDP) arrangement of the Nigerian National Petroleum Corporation (NNPC),’’ . “The committee disregarded a letter from HAR Petroleum Resources Ltd absolving itself from engaging in importing the product and could not have sourced for and accessed foreign exchange from CBN because documents provided by Crude Oil Marketing Department of the NNPC confirm the company’s participation in the business”. “We have it on good authority that in 2014, your company applied and got over 11 million dollars, and in 2015, it got another forex of over 14 million dollars from Zenith Bank for the importation of petroleum products into this country. “And you now deny ever engaging in product importation or any of such transactions with the NNPC retail outfits. “Where did the 26 million dollars you took in forex from the bank according to CBN records go to?”.